I am impressed with your blogging schedule. Wish I was that organised. At the moment I have plenty of ideas but finding the time to write is not easy. Maybe I should set a day each week and stick to it. I love your writing style. You write from the heart. Thank you Maureen! And as for my schedule, remember that I’m not working full time (and I’m not helping run a farm, as you are! ), so it is easier for me to find the time to do it. And thanks for the compliment on my writing; I think the same about your writing! Your blog is very, very good! I think we all have those days, weeks, where the words just won’t come or the topics aren’t inspiring enough and its a struggle to write. 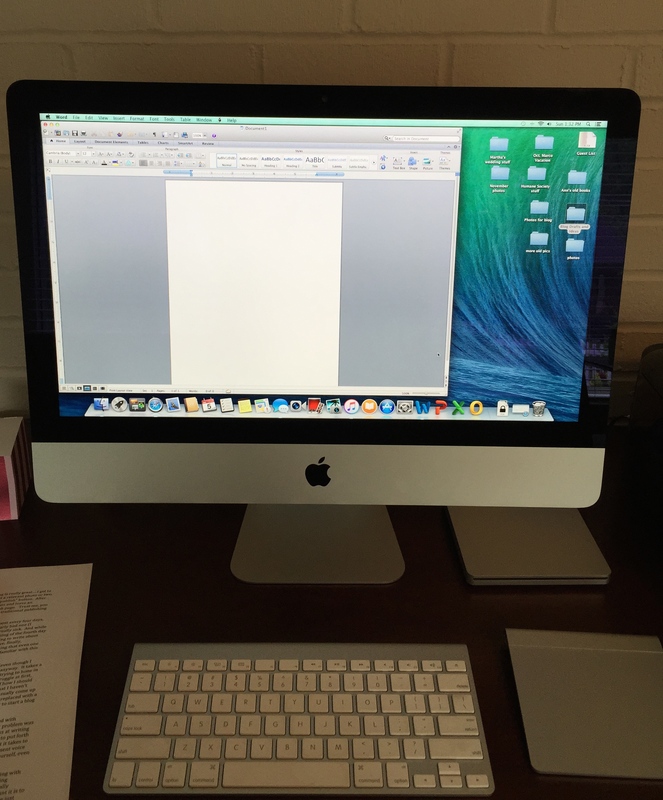 The best thing to do is as you’ve done…take out some paper and just write. At some point something will present itself. The. There are those tri Ed you have so many thoughts but not enough time. If only balance could find its way inside sometimes..:) just keep on keeping on. Thanks, George! Sometimes I can’t wait for the fourth day, because I have an idea I really want to write about, and other times I just draw a blank. I think most writers struggle with this, and the only thing to do is plow forward! I really enjoy reading your blog…Keep it up Ann! When I started blogging it was to write too, and I promised myself every day or you’d lose your audience I heard. Knowing I’d never be that creative or prolific, I’ve happily discovered that I love photography! It not only allowed me to post every day (with a few whoops I forgot), but also to create some poetry out of the photos. While many ‘real’ photographers might poo poo my phone photos, it has given me a greater appreciation to ‘stop and smell/look at the flowers’. Just as writing makes one slow down and think about things in a different light–so does photography. The whole blogging thing, right down to making ‘friends’ has been such a delightful and fulfulling experience! Keep up the great work, whatever your pace!! Another great post, Ann! I was thinking the exact same thing myself this past week. Even though I just started my blog two months ago, I’ve gotten so busy at work I feel as if I don’t have time to write or have anything exciting to write about. I even considered just deleting it. Thanks for reminding me to hang in there. Oh, Kim, you definitely need to hang in there! Your blog is very good..that’s why I followed it. It’s okay if you don’t have time to post as often as you like, but don’t give up on it! You have too many readers who would be very disappointed. And thanks for always being so supportive, it means a lot to me! Hilarious! I know where your coming from. Determination and perseverance the key. I have also nominated you for the Liebster Award. You can check out my blog: Bajiequ5.com for more info.